PRWeb has this deal running offering 10% off for new users to their service. 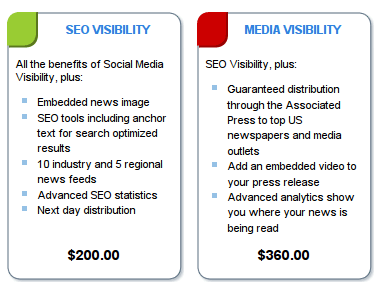 I know more and more companies are churning out press releases within their branding and link building strategies. This gives you an opportunity to try one of the largest news distribution channels online, score some links and gain the attention of your industry. They have plenty of news release options to choose for, I personally recommend checking out their $200 USD option for its news reach, as well as its social media reach. Sign up today and get 10% off your first news release!